→ Award & Marketplace Requests! [READ OP FIRST!] 'Awards' How to Obtain, REQUEST FOR AWARDS HERE! FILL THE !NEW! FORM FOR EACH REQUEST! Locationhi if u need any help reach for the admins i'm only here to lurk! Awards are badges, buttons, stamps, whatever you would like to call them that appear under your avatar when you post. Example; My mini profile to the left of this post showcases four individual awards showcasing who I'm a fan of. Awards are granted to members for reaching a certain amount of posts. You can get your first award at 100 posts! Awards can then be requested at 200, 300, 400 and 500 posts. After that, awards can only be requested every 250 posts. 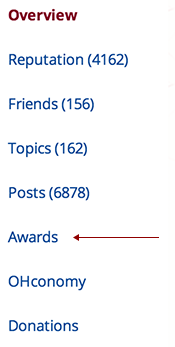 If you are having trouble remembering your post count you go can go to the awards tab on your profile page and count up your awards. I regret one of my awards. Can I swap one award for a new one? Yes you can! If you have an award of Hyomin and you want to replace it with a Qri award you should fill out a "swap" form and post it in this thread. This means that you will not have the Hyomin award at all. If you simply want to swap the display of your badges, you need to state your new badge arrangement instead. I want to hide my badges. Can I do that? Yes and no. If you have more than 4 badges then you can choose the four you display and have the others hidden. If you have four awards or less though, the awards must be displayed. The system we use does not allow you to have badges and hide them entirely. I want an Award of an idol, group, soloist or actress/actor who isn't listed in the Awards Section. Simply purchase a "Custom Awards Request Form" from the marketplace and fill out the sheet listed in the Custom Awards Request thread and we'll make an award for what you have requested. This only applies for Fandom, Individual member, Soloist and Actor/Actress awards. All new awards will be uploaded at Awards Coordinator's discretion. I want an Award of a Sub-unit/OTP/Company who isn't listed in the Awards Section. For any of these awards you will need 6 other people to request at the Custom Awards Request thread with you. You can present a list naming the 6 other individuals, however you will need at least 3 of the users listed to come to the awards thread and request it with you by quoting your post. More information can be found on requesting in the Custom Awards thread. All new awards will be uploaded at Awards Coordinator's discretion. Click here for the Award request thread. Are there other ways to obtain Awards? Yes. We have two other ways of getting awards! Purchasable Anime Badges are awards that can only be purchased in the marketplace! Unique Awards can be obtained through winning forum competitions by the staff members or by spending the tokens you have earned in forums games. These are very rare so keep on the lookout! What is a Purchasable Anime Badge? A purchasable anime badge is very much what it sounds like. To get an award like this, you need to use your won to buy the badge from the marketplace. You cannot swap out these awards for normal post count awards, but you can get the Awards Coordinator to change the award back into a marketplace item for reselling. 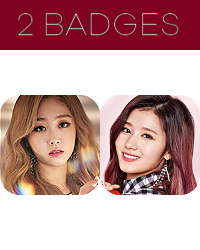 There is a limited selection of anime badges and they cannot be requested like the artist badges, but during award voting season a poll is put up and new badges can be added. Look out for this time and you might be able to get a new award for a character you like! 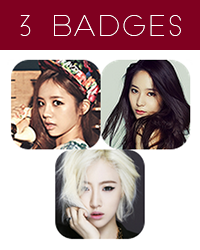 You can also get Anime badges using tokens earned in forum games. Click HERE for more details on tokens. What is a Unique Award? A unique award is a custom award made for a specific user. It can be of anything, including, but not limited to: celebrities of any country, anime characters, pairings, original characters, etc. You may use any picture you want for your custom award, provided that it does not violate any rules of OneHallyu or IP Board. Unique awards are available to members who place first in forum competitions held by the staff, where it is held as a prize and these unique awards are made only for that specific user, thus they cannot be awarded to another person. You can also get a unique badges using tokens earned in forum games. Click HERE for more details on tokens. What if I don't like the picture? With so many users and so many badges, it's hard to please everybody - so we compromise and have "Award Voting Season". 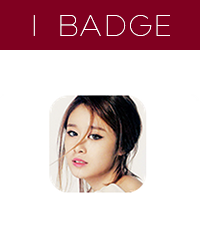 This is a time where you can submit photos and vote to choose the best picture for a badge to be changed to. 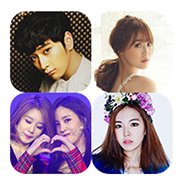 These seasons happen approximately once a year and means that your biases photo can be up-to-date. If a badge gets chosen that you don't like you'll have to wait until the next awards season to change it, but you can try and win a unique award and put your favorite photo on your own special badge. There are several reason why we close the thread. Sometimes the site is out of sorts and we can't give awards. When that happens, we lock the thread and reopen it when we can give awards again, or until the site becomes stable. Another reason, and sometimes the more common reason, there isn't a team member available to tend to the thread. Instead of having requests pile up for an unknown amount of time, we lock the thread. 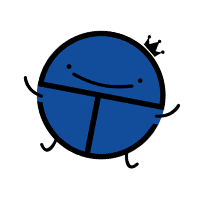 The thread is reopened when a team member is able to grant awards. So, no need to worry when the thread is locked. It will be reopened. Just return at a later time to see if the thread has been reopened. This means the BM Fan Award will be given to me and will be displayed underneath my username and picture when I post. Please use the post count for the award you are getting, not your current amount of posts. And this is a list of the post counts and how many awards correspond to that. At this point in time, we can't go over 50 awards for one user. Please include the group name if it is an individual member. Please also note to keep requests at max 10 at a time. Come back for more later if you want! To note: Swap means that you will not have the badge you are swapping out at all. Either in your display 4 or in your profile. 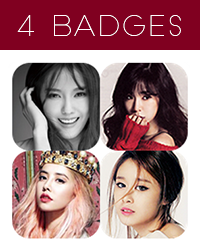 If you want to change the arrangement of your 4 badges, you should just use the badge arrangement form below. This means that the Super Junior award will be removed and replaced with the BAP badge. You do not lose any post counts for doing this. But you will still need to fill out a badge arrangement form if your award was visible. If you do not want to change your current arrangement please state so. If this is your second award or more, you will need to tell us how you want your badges arranged. If you would like to remove all of your badges, you can also post in this thread with a simple "Remove all of my badges please"
If you would like to remove a purchasable badge and turn it back into an item, please kindly send your request in a PM to our coordi sweetjohoney. For anything related to Badge Season/ Award Voting season GO HERE. Please remember we are all human, so treat us with respect and we'll get all we can done for you! Posted 22 May 2013 - 09:01 PM (Edited by Delphine, 01 June 2017 - 04:15 PM.) Grats! Posted 22 May 2013 - 09:04 PM (Edited by shaysonic, 22 May 2013 - 09:36 PM.) Grats! Posted 22 May 2013 - 09:04 PM (Edited by shaysonic, 22 May 2013 - 09:37 PM.) Grats! Posted 22 May 2013 - 09:05 PM (Edited by Kanagawa, 04 July 2013 - 08:45 AM.) Grats! Posted 22 May 2013 - 09:06 PM (Edited by shaysonic, 22 May 2013 - 09:39 PM.) Grats! Posted 22 May 2013 - 09:06 PM (Edited by shaysonic, 22 May 2013 - 09:40 PM.) Grats! Posted 22 May 2013 - 09:07 PM (Edited by shaysonic, 22 May 2013 - 09:41 PM.) Grats! Posted 22 May 2013 - 09:08 PM (Edited by shaysonic, 22 May 2013 - 09:42 PM.) Grats! Posted 22 May 2013 - 09:08 PM (Edited by shaysonic, 22 May 2013 - 09:43 PM.) Grats! Posted 22 May 2013 - 09:09 PM (Edited by shaysonic, 22 May 2013 - 09:44 PM.) Grats! Posted 22 May 2013 - 09:10 PM (Edited by shaysonic, 22 May 2013 - 09:45 PM.) Grats! Posted 22 May 2013 - 09:11 PM (Edited by shaysonic, 22 May 2013 - 09:50 PM.) Grats! Posted 22 May 2013 - 09:11 PM (Edited by shaysonic, 22 May 2013 - 09:53 PM.) Grats! Posted 22 May 2013 - 09:13 PM (Edited by shaysonic, 22 May 2013 - 09:54 PM.) Grats! Posted 22 May 2013 - 09:14 PM (Edited by XIA Fan, 22 May 2013 - 09:56 PM.) Grats! Back to Award & Marketplace Requests!